Mortgage Angels is an online lead provider which has grown from Estate Angels, the leading online directory of estate agents, ranked by Hitwise as in the top 10 of all UK Property & Business sites with over 8000 home hunters using our site each day. Every 10 days our visitors fill Wembley stadium! The success of our site is down to the fact that we provide a simple clean service. People who are looking for advice on mortgage products, financial services and home moving services can enter their details into our simple forms. For mortgages and Life Insurance we inform them of the name of the adviser who will contact them and pass on their details to the adviser immediately! In addition we have a network of affiliate websites that carry our mortgage enquiry form in order to generate more leads. These sites range from mortgage sites to conveyancing and other property sites, including Estate Angels. Our mortgage,financial and home mover leads are allocated by postcode and are guaranteed leads, from individuals that are looking for advice, within the designated postcode area or financial advisor's immediate area. We are not only supplying you with quality mortgage,,financial and home mover leads, we are providing you with clients that will refer you to their friends who are looking for financial advice, who will refer to you their friends, and so it goes on. MortgageAngels also has a sister site www.estateangels.co.uk where home moving leads are produced. We also have partnerships with other leading property portals in the UK which makes us the leading supplier of Home Moving Data. On line leads strengthen your business. 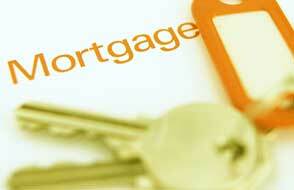 We source the best quality mortgage and life insurance leads in the UK. If you are a mortgage advisor or financial advisor looking to break into the mortgage marketplace, our leads can give you the boost that your business is looking for. Statistics show that every successful mortgage lead that we supply sees the mortgage adviser pick up, on average, four other quality referrals in the six months following the completion of the mortgage. Home Mover leads are offer a very low cost entry point to talk to customers who are looking to move and require home moving services. The lead gives you the ability to talk to a new client about the specific products they registered for but more importantly it opens the door to then cross sell other products.